Plaid Cymru Assembly Member for Ynys Môn Rhun ap Iorwerth has today pushed Welsh Government for assurances that everything is being done to help the workers at Amlwch’s Rehau plant following a statement from the company that outlined 104 jobs would be at risk in the plant. Last week the REHAU group announced proposals to close the facility in Amlwch, citing a lack of demand for the product created in Amlwch as a significant factor in their decision. This will have a significant impact on the workforce – most of whom are from the Amlwch area – and the local community. “In the last few weeks I have asked specifically for Welsh Government to support economic development on the island, and in particular the north following the announcements by Horizon and Rehau. “Today I pressed Welsh Government for certainty that they will prepare resources to be able to offer Rehau support which could persuade them to develop a new product at the Amlwch plant perhaps, and I’ve asked for assurance that they will push for every option to be kept on the table. 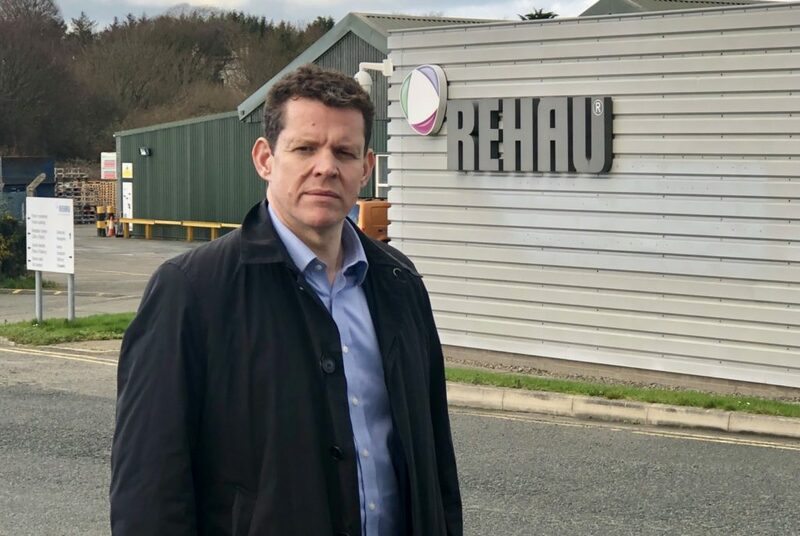 “If it does come to the worst, I have also asked Welsh Government for assurances that they will invest heavily in re-skilling opportunities for the workers at Rehau and that no turn be left unturned in looking for alternative employment. ← Welsh Government finally stepping up Electric Vehicle Charging Network plans following Plaid Cymru’s EV Campaign.